The Commission inventories and remediates abandoned mine hazards on state school lands throughout California. Many abandoned mines are nearly 100 years old and predate the state’s acquisition of the lands and enactment of laws requiring that lands impacted by mineral exploration and production are reclaimed. Abandoned mines are critical habitat to numerous bat species and other wildlife. Many mine features, including vertical shafts and horizontal adits, can entrap wildlife and are a safety hazard to the public. Addressing physical hazards associated with abandoned mines is a complex process. Remedies range from simple signage to permanent closure and are determined on a case-by-case basis depending on the severity of the public hazard. If staff determines that a particular mine feature is sufficiently hazardous to warrant a permanent closure, staff surveys the mine feature’s biological, historical, and physical characteristics to determine which closure technique is appropriate. 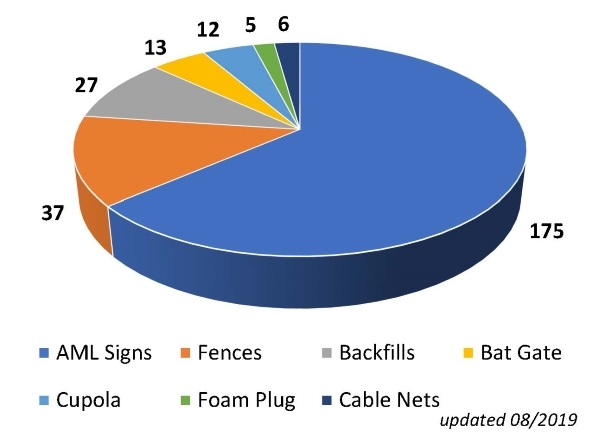 When surveys find that significant biological or historical resources exist at a mine, bat gates or cupolas are built to protect the public and wildlife. 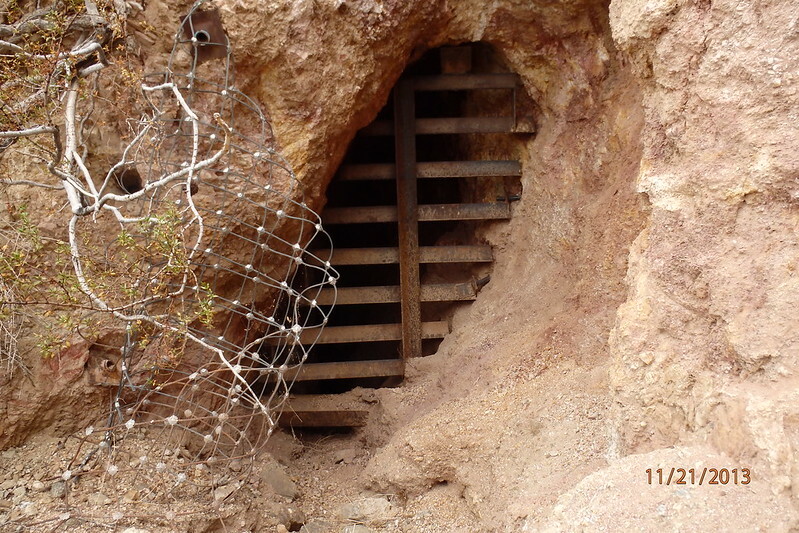 Bat gates are constructed at the portal of horizontal mine openings, known as adits, that allow bats, owls, desert tortoises, and other wildlife to use the mine for habitat, while also safeguarding the public. For vertical shafts, a cupola (a box made of steel angle iron) is installed over the shaft to allow wildlife access. These techniques protect and preserve historic resources and can be designed to give biologists and archeologists access to perform surveys, or for geologists to prospect for mineral deposits. Mine shafts that are relatively shallow and have no horizontal workings generally have little historical value and provide poor wildlife habitat, but may still pose a fall hazard to the public. When these shafts have the original waste rock dump adjacent to them, staff contracts for a small front end loader to backfill the shaft using the original waste rock. When waste rock is unavailable, staff uses a polyurethane foam plug covered with native rock and soil that protects the foam from sunlight and obscures the original location. Certain mine features may not be suitable candidates for bat gates, cupolas, or foam plugs. In these instances, wire fences are often used, either permanently or as a temporary measure until a permanent solution is found. Cable netting is occasionally used on complex mine structures with large or irregular shaft openings that are not amenable to cupolas or foam plugs. Commission staff consults with the California Department of Fish and Wildlife and the State Office of Historic Preservation on all closures to ensure that sensitive resources are preserved.